1. 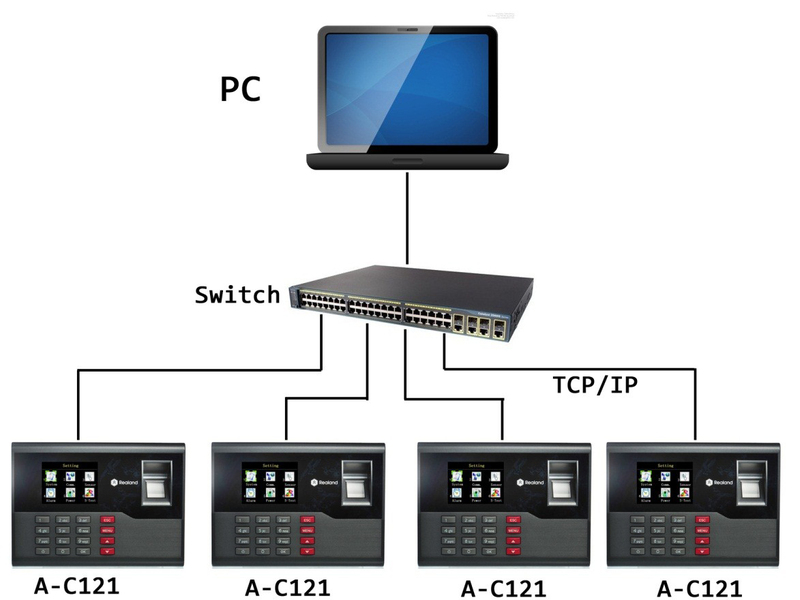 Customer can connect the software to the A-C121 device via the WAN network. 2. One software can connect to several A-C121, to share user info and get attendance records.